In this breathtaking new story from the astonishing imagination of James Patterson, a girl has to save herself from an army assembled just to capture her – and maybe save the planet while she’s at it. Maximum Ride is a perfectly normal teenager who just happens to be able to fly, the result of an out-of-control genetic experiment. Max and the other members of the flock – five kids who share her remarkable ability – have been asked to aid a group of environmental scientists studying the effects of global warming. The expedition seems like a perfect combination of adventure, activism – and escaping government forces who are watching the flock all the time. THIS IS HER FINAL WARNING. But even in Antarctica, enduring in the harshest weather on our planet, Maximum Ride is an irresistible target in constant danger. 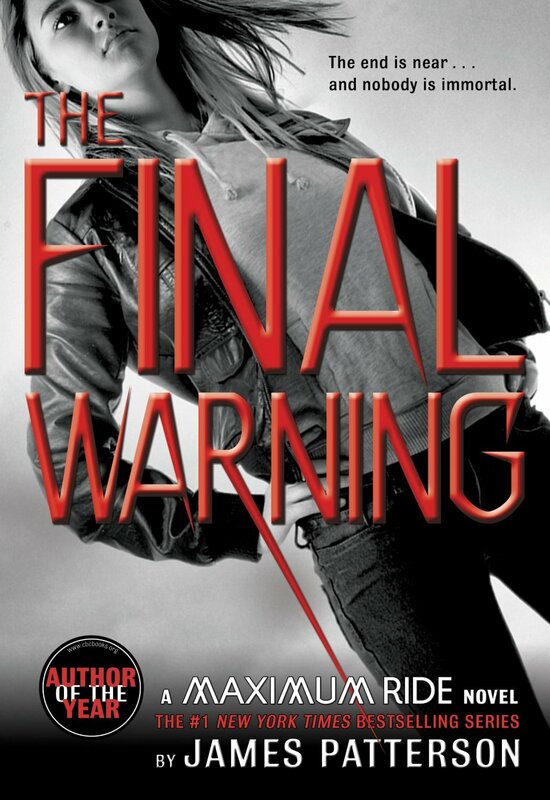 For whoever controls her powers could also control the world. . . .
Everything I’ve previously said about the Maximum Ride books, good depth and characterization, good pacing, is all true in this one as well. What is even better about this book is the information and knowledge given about a very serious issue going on in our world, something that we are all obligated and responsible to work towards stopping. I think this book would be excellent to teach to middle schoolers to get them thinking about world issues. That being said, the book is rather light in comparison to the others. There aren’t lots of fight scenes and everything seems a bit more subdued than we are used to the flock experiencing. Many Amazon reviews seem to dislike this novel, and it isn’t a typical Maximum Ride book. Full of political awareness, this book doesn’t really fit with the other three as well as it could have. The antagonist seems like a side plot thrown in so there is some sort of fighting tension, a chance to see what happens due to global warming in action, and the antagonist is far too easily thwarted. 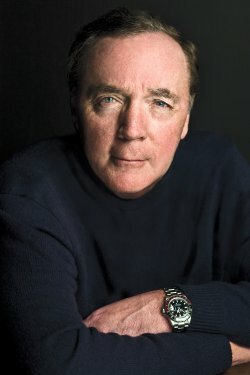 James Patterson received the Literarian Award for Outstanding Service to the American Literary Community at the 2015 National Book Awards. His other awards include two Emmys, the Edgar Award, and the Children’s Choice Award for Author of the Year. He is a tireless champion of the power of books and reading, exemplified by his new children’s book imprint, JIMMY Patterson, whose mission is simple: “We want every kid who finishes a JIMMY Book to say: ‘PLEASE GIVE ME ANOTHER BOOK. '” He has donated more than one million books to students and soldiers and has over four hundred Teacher Education Scholarships at 24 colleges and universities. He has also donated millions to independent bookstores and school libraries. Patterson will be investing proceeds from the sales of JIMMY Patterson Books in pro-reading initiatives.